Ladies Protective Court Shoe - Ideal for Workwear. 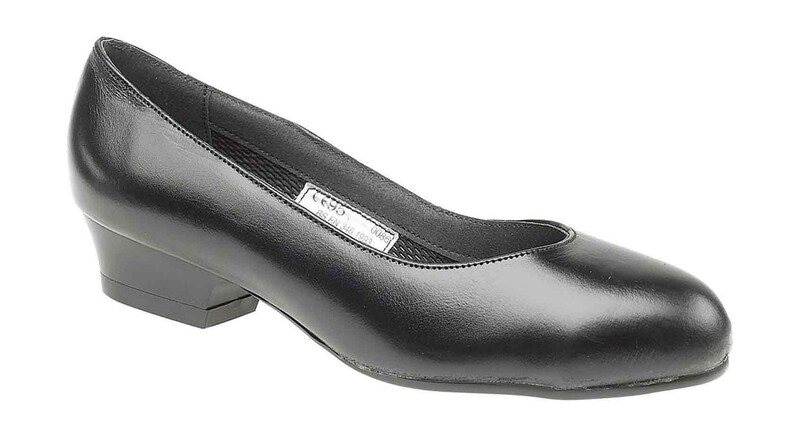 The Footsure Black Ladies Court Shoe is a ladies protective court shoe that is an ideal for uniform use where normal safety footwear is not a requirement. Its plastic toe cap offers protection plus the added benefit of being lightweight compared to conventional safety footwear. Has a 100 joule protective toe cap to EN346. The Footsure Black Ladies Court Shoe is available in sizes 3 to 8 including 4&1/2, 5&1/2 and 6&1/2.